Learn all about the exciting new releases from Catalsyt Game Labs and find out about what to expect in the year to come. Special Guests include Randall Bills, Loren Coleman, Jason Hardy and more. No diorama this year. 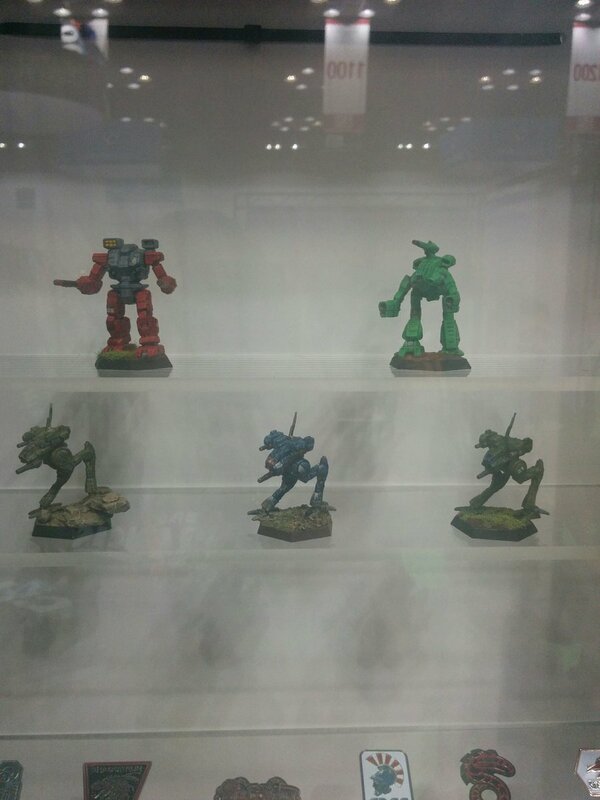 We've painted up some of the Classics prototypes which will be displayed at the Catalyst booth. 40 минут назад кончилась часовая лекция "Так что там с БТ" - никто не видел уже подробностей? Когда эта штука на Мародере вспыхнет, мало ему не покажется. Следующая тема - Вторая наследная. Затем следующиий из Филдмануалов - Дэвион. Скорее всего в следующем году. Новые пластиковые миньки - ГВ опрашивает производителей о порядке цен. Лорен работает над "Тенями веры" + вступительные истории Гончих Келла от Стакпола. Милан работает над "Вариант Белый", Парду над романом про Фиделис. Website redesign: Website redesign using a new CMS and modules instead of trying to write a full custom system. Plan to include store, demo agent support, and other stuff. Earlier this year the current site broke and about five weeks of ordersnever went to fulfillment! They had to deal with that manually. Year end is the goal to complete the redesign. 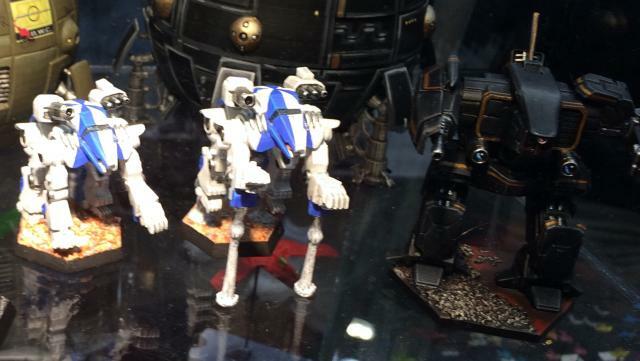 Leviathans: 40-50k for just the molds, and they got burned on those. Maybe 2-3 years for more leviathans, but they want to do it sometime. 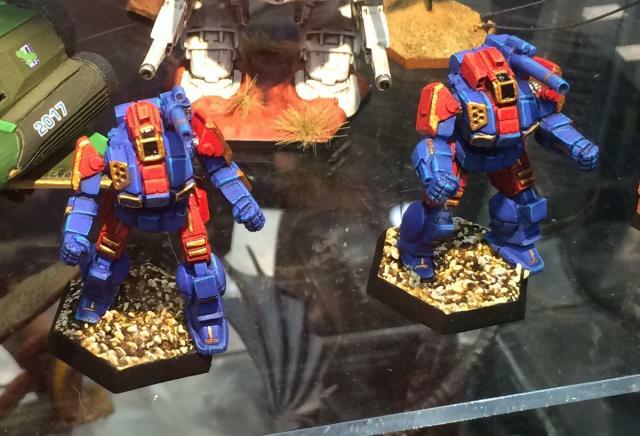 Mentioned that the minis for the valiant game are basically a test run for their new processes for producing minis. ИЛЬКЛАН, ВОЗМОЖНО, В СЛЕДУЮЩЕМ ГОДУ! Looking at both BT and shadowrun settings for other, unrelated types of games. Working on one for BT right now! Stuff like the push you luck dice game they made in the shadowrun setting. BT epubs. : XTROs have sort of run their course. 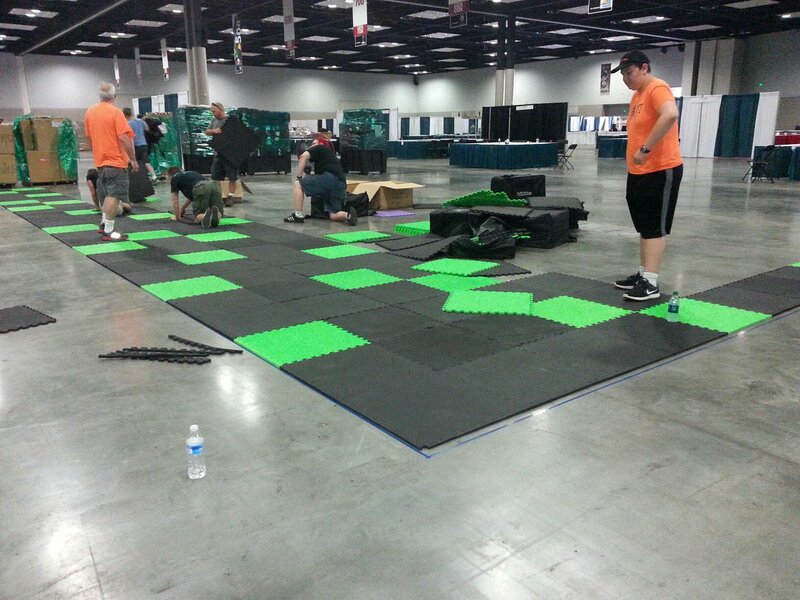 Gencon prep starts three months before. This affects trying to release anything in that time. Loren wants to do a epub series on the mech warrior academies. Working on the writers to get them interested. No updates on the other proposed ePub series. CGL asked for record sheet design software. One person is working on something, but nothing finished yet. They would love to see it done, but it is way out of their expertise, so someone outside would probably have to drive it. 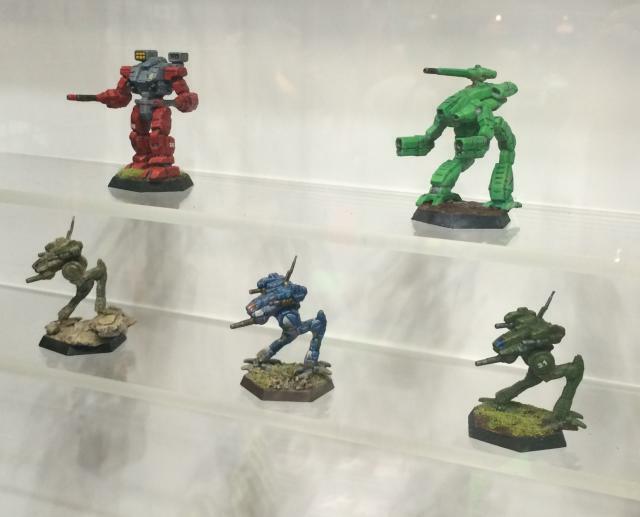 What mechs are in CM Davion: Battlemaster, Valkyrie, marauder, rifleman. Sorry for typos or stuff that makes no sense! 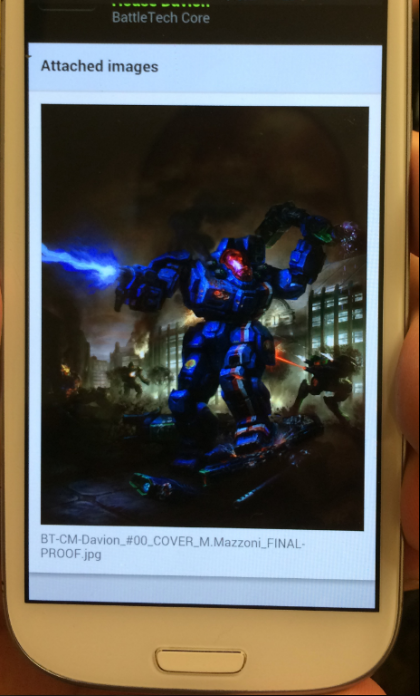 EDIT: forgot to mention, Randall had a picture on his phone of the cover art for CM Davion. I got a picture, but it isn't up yet...it's lovely. Это не тот ли проект, о котором corvus_obscurus говорил? Loren wants to do a epub series on the mech warrior academies. Working on the writers to get them interested. Разработчики Сканка, ХМП и прочего стали толстыми, ленивыми, с бородами и вяло работают теперь за бабло, а не воротят горы на энтузиазме. Как я слышал, автору ХМП (Райсли?) предлагали денег и зарплату за модернизацию, но он отказался. Черное и большое на последней фотке - это что? acefalcon писал(а): Это не тот ли проект, о котором corvus_obscurus говорил? Было бы круто, но нет. У нас сейчас ад с переговорами по авторским правам, и ближайший раунд пройдет не раньше ноября. При этом в настоящий момент, основной собеседник по IP у нас HBS и Джордан. Каталисты устранились от данного вопроса. FES писал(а): Черное и большое на последней фотке - это что? Похоже на Орку. Судя по масштабу. Scorpion Dog писал(а): Похоже на Орку. Судя по масштабу. 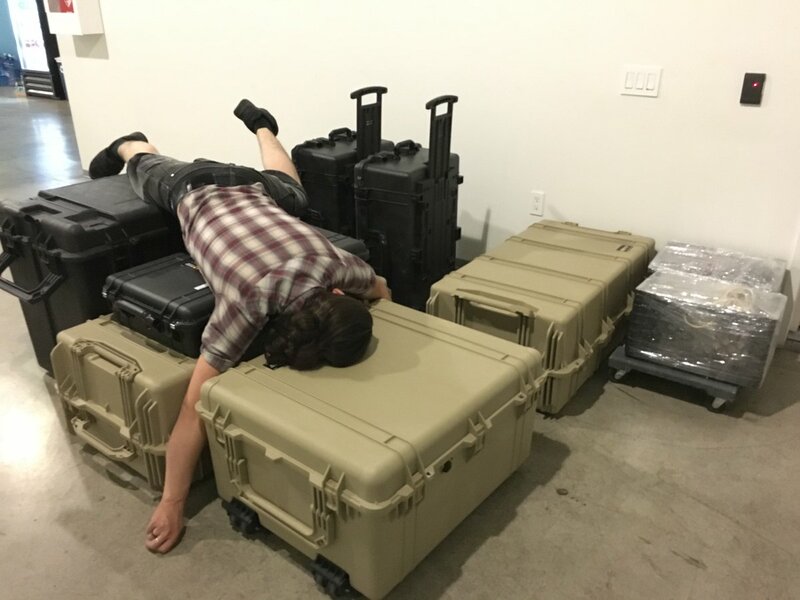 Да, это слева-направо BLR-X-KNT 'Red Reaper', Mortis MS-1P, Exhumer EXR-2X, Gravedigger GDR-1C/1D, Cadaver CVR-A1 (последняя четверка входит в так называемый 'Undead Lance Pack'), две Trebaruna-XB и Orca-1X. 6:00 Branching out in various things not Battletech or Shadowrun, Hands up to see who plays what? 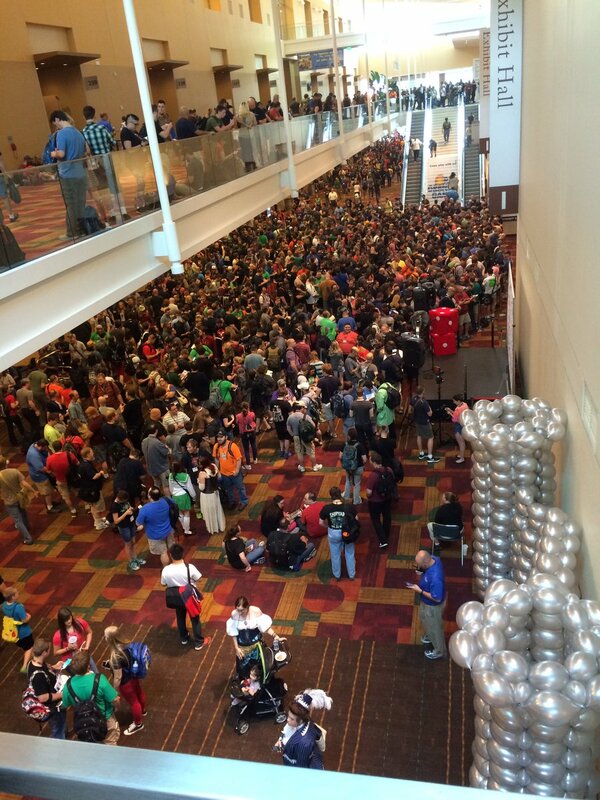 7:00 Tabletop stuff and how CGL is pushing to make table top gaming a focus. Branching out to become more than just CGL 'The Shadowrun & Battletech guys' and more of "The Game Company". 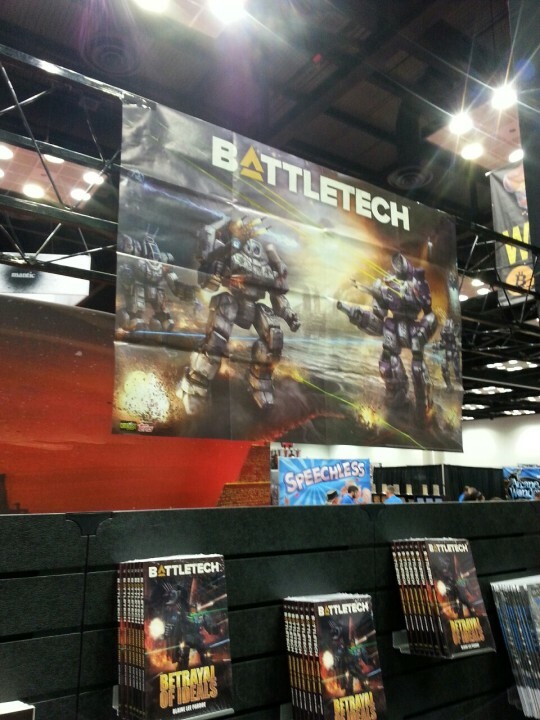 18:30 Battletech, what's it about? "Stompy robots. Done" -Randall...well I guess we're done here! 18:40 Randall so happy that IO is done and CO is out the door. 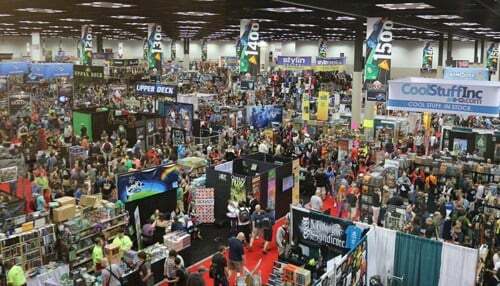 He then goes on about the products at GenCon. 23:00 Rare moment of praise heaped on Loren as Randall talks about getting Legends novels available. 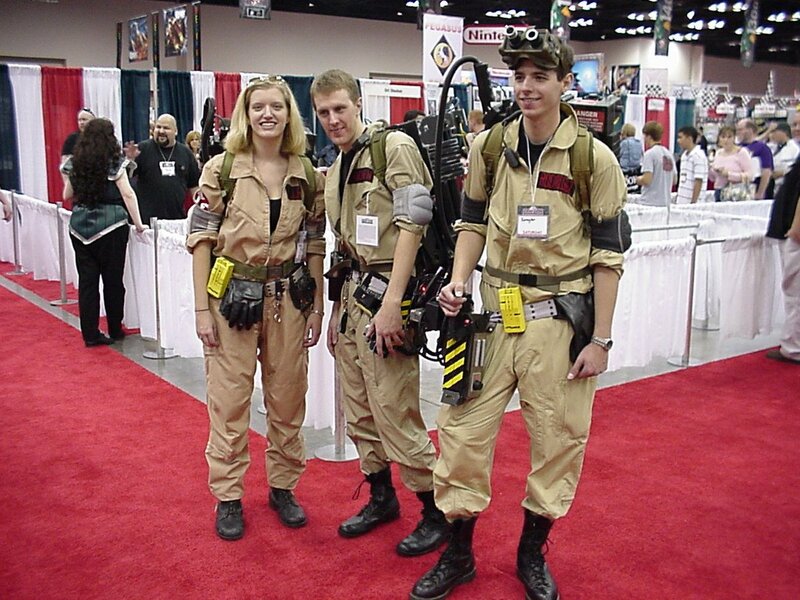 3 Authors not yet signed, but they're working on that! 134 out of 142 books available for publishing. 25:00 Dice available...wait gone (except Q Workshops), trying to find out how to feed the beast that is the fan's hunger for them. CGL isn't the only one dealing with such problem. 2nd Succession War is in the pipeline. Field Manual Davion, end of this year or early next. Cover is fricking awesome. Yes based on the description of "...beating Death Commandos" it DOES sound like Hanse in that sweet looking Battlemaster. 27:21 Plastic Minis WHEN?! CGL looking into it, pricing situations, things in process, don't want to be screwed over like in the past. 28:34 New Fiction books available at the Con, so they talk about them. 37:00 Deck building, Vikings, the plastic minis that are out in other games, these are signals to the level of quality they are shooting for in other minis. Pico in the works, like The Duke, token placement game. Galaxy Quest the board game. 39:30 On the verge of talking about some neat future game, but the ink isn't dry on that contract so nothing yet. 40:40 Battlecorps, website redesign, Randall passing that answer to Loren because "I take the emails, you take this question". "We need to scrap it, salt the earth, forget it ever existed" -Loren, further talk about what they hope they'll do soon for this. 43:00 when will it be done? Shadowrun time...okay bad joke from this video (Loren keeps using Shadowrun instead of the name of something else due to brain fart), really they are hoping by end of this year. 44:10 Leviathan boxes, when? Poor Randall... It comes back to the miniatures and how the foreign printers screwed them. Thus going back to the earlier timestamps as to why they're being careful about plastic minis and where they get them from. 46:01 Germans and Italians are possibly ready, Randall wants to relaunch it, but once again mini troubles. Next two to three years they hope. 47:20 Look at the deck builder game for what they are doing to plastics. They feel confident and competent, there's going to be a SR roleplaying minis pack in a Shadowrun+1 amount of time. Valiant minis are the proof of concept as to what they're doing for minis. 48:20 IlClan WHEN!? Next year seems like. 49:00 Couldn't hear him, something about a SR game called Hostile Takeover? Apparently some big hubbub was interested in helping them, so this was put aside for a moment in order to get a good deal going with that person. 50:30 SR would make a hell of a board game, so if we're doing deck building with SR how will this affect Battletech? Well CGI hopes to take Shadowrun AND Battletech outside of just roleplaying and table top, giving the fans more ways to play within the universes. Looking at card game(s), Succession Wars boxed set, other games that aren't minis based but allow us to enjoy Battletech. "These are big giant worlds, there's a lot of room to play in them. No reason to keep them so narrowly defined." 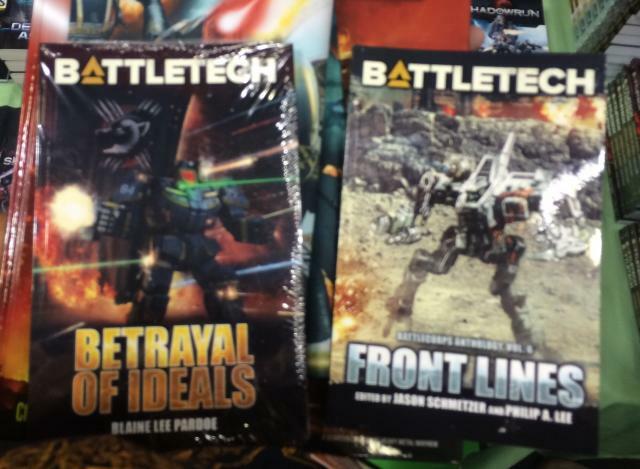 53:20 Battletech Epub releases, where are we at? XTRO has pretty much run their course. 54:20 stuff falls by the wayside temporarily due to GenCon sprint time, which is around three months before GenCon starts. 57:40 Randall scares programmers with rulebooks when people think they can step up and make Designer programs. 1:00:08 Can someone hack into Pokemon Go and put 'Mechs in? JOKING! - Возможно сегодня будут фото новых дайсов, посвященных наемникам. - Уильям Кейт младший пишет новый роман по БТ, предположительно, это будет приквел к серии о "Сером Легионе Смерти". Больше - никаких подробностей. - Новые Ostscout и Shadow Hawk в металле от IWM поступят в продажу в четвертом квартале этого года. Когда будут перезапущены другие классические модели пока не ясно. На зарубежном форуме высказывают предположение, что релизиться все это добро будет по две модели каждый квартал/полгода. - Новые металлические миньки от IWM будут выходить не раньше, чем CGL выпустит пластиковые (Ray Arrastia). - Сорсбук по Второй Наследной планируется к выходу осенью, сорсбук по Дэвионам - к Рождеству, или в январе, однако даты еще могут меняться (Randall N. Bills). - CGL хотят сейчас пересмотреть свою политику в соцсетях, и давать больше информации об инсайдах, в частности о том, как происходит подготовка продукции. Рэндалла пытаются сейчас научить чаще и лучше отвечать на комментарии, а также использовать больше платформ для этого (некто Tad, видимо - SMM-специалист каталистов). Надо бы на следующий год посетить Индианаполис и выставку посмотреть. В этом не получилось, к сожалению. Все места в отелях выкуплены за полгода. Спать тупо негде, народу дикие толпы. Машину тоже приткнуть не получится кроме как на окраине. Хотя говорят, что в соседнем кафе разрешают спать лицом в салате, если сделаешь заказ на 100 баксов.